A Touch of the Unexpected: Part 1: Holiday Gift Wrapping Ideas to Inspire You! 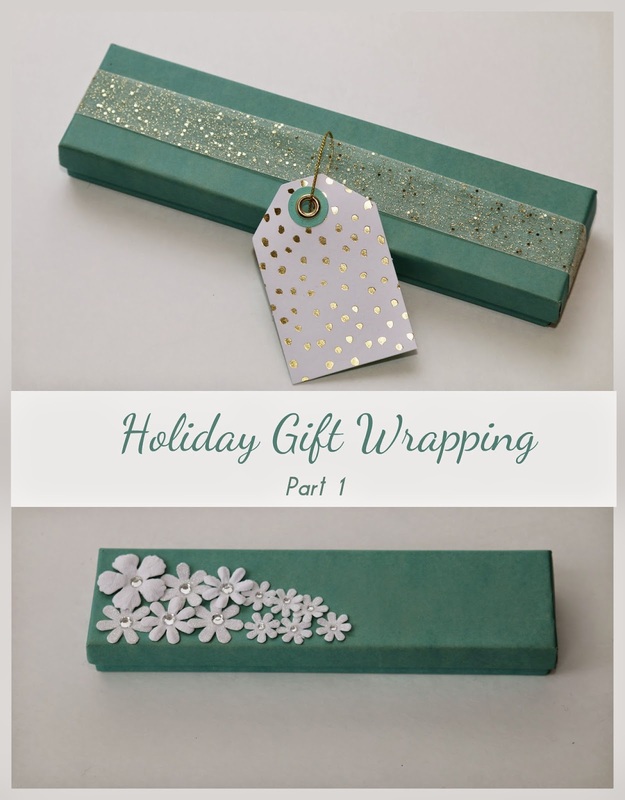 Part 1: Holiday Gift Wrapping Ideas to Inspire You! I'm really excited about this post. It's going up a little later than I was hoping but as they say, it's better late then never! Wrapping gifts is something I truly love doing and it's one of the main reasons I started this blog. With the holidays fast approaching, I felt inspired to wrap some gifts and share my ideas with you. So I decided to create a 5 post series. Sure you can get the usual holiday wrapping and curling ribbon but that's not how I like to do things. I like to create packaging that makes the recipient feel special. A well wrapped gift creates an experience. The holidays don't limit us to red and green wrapping with images of wreaths and Christmas trees. There's so much more out there, if you just use your imagination. These 5 posts are meant to inspire you to consider less obvious color, pattern and textures than you would normally find in the holiday gift wrapping section. I started this post by visiting my local discount and craft stores. I didn't have any ideas in mind, I let everything come to me as browsed the aisles. If I found something I liked, I put it in the cart and did some editing before checking out. For this first post, I show 2 ways to wrap one blue box. Both are simple and sparkly giving that wintery, holiday feel. Neither one screams Christmas and that's what I love about them. In the image above, I paired a sheer, gold dot ribbon with the blue box. Using the ribbon like a band and skipping the bow gives a more modern look. 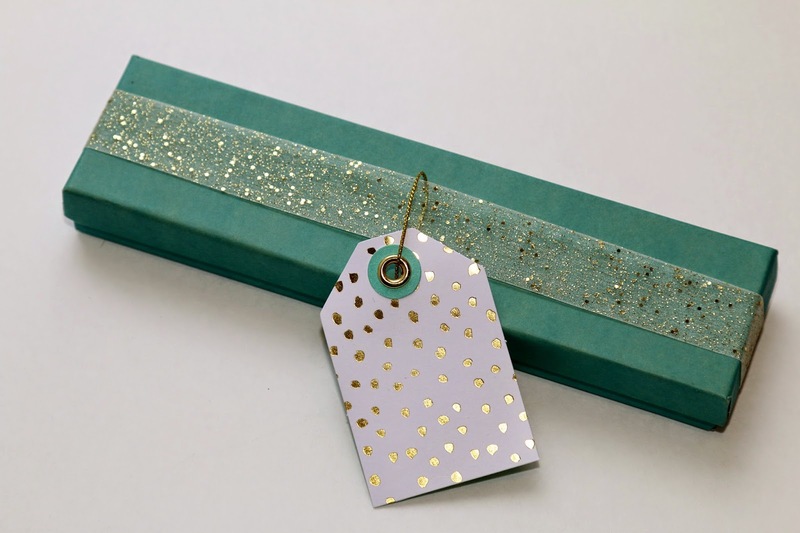 I chose a gift tag that coordinates just beautifully with the ribbon with the coordinating colors and dot patterns. In the image above, I used floral appliques from the scrapbooking aisle of my local craft store. I chose not to add any ribbon to this one. The simple white and crystal flowers give the feeling of winter. Check out your local discount or craft store for some amazing appliques. There are so many options to create something unique. Part 3 - wrapping with animal print paper. Part 4 - wrapping with green and gold. Part 5 - wrapping with black and white. Do you have any creative holiday wrapping ideas? Share them in the comments below!